The fairytale walnut forest of Arslanbob in southern Kyrgyzstan is a year-round destination for visitors of every stripe. When the Ferghana Valley below swelters in the heat of summer, travellers can find refuge here in the shade of a magnificent woodland that stretches deep into the mountains. Waterfalls clatter while holy stones and sacred lakes draw pilgrims. At the edge of the woods, the Uzbek residents of this Kyrgyz village welcome visitors. 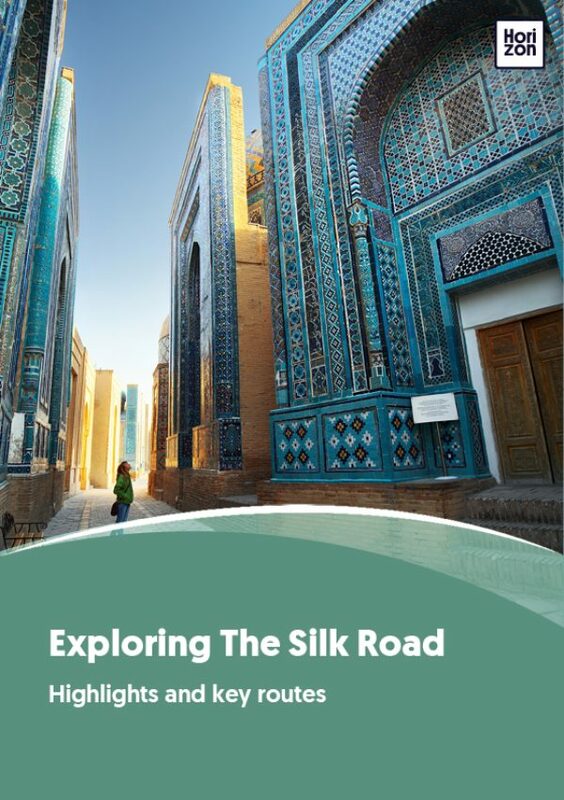 Arslanbob’s homestay network delights with the Uzbek village hospitality so difficult to sample in Uzbekistan itself because of restrictive laws. This village with picturesque setting is a must-see for any visitor to southern Kyrgyzstan. The best way to discover Arslanbob is by foot. A stroll through the village in the evening dusk, as the cows come home jeered on by the youngest kid in the family. A stroll through the shade-dappled walnut forest, picking some of the low-hanging fruit to nibble on during a picnic at the waterfall. A never-ending stroll, as each bend in the road results in another invitation for tea, bread and jam. Or occasionally, vodka and salted fish. Unlike their Kyrgyz counterparts, Uzbeks are farmers. Expect to be force-fed not only walnuts, but also apricots, watermelons and a host of other homemade delicacies by your homestay host, besides the inevitable mountain of yellow carrot plov. For those who want a more action-packed adventure, the mountains are calling. Just behind the hill pastures of the village, snow-dusted peaks sit above crystal-clear lakes. A four-day pilgrimage circuit takes in some of the scenic highlights of the alpine world above the rural idylle in the valley. Arslanbob has a host of holy sites: these include prominent rocks, mountain peaks, water sources, lakes and ancient trees. Although now Islamic, these places are relics from Tengrism, an ancient Turkic religion that predated Islam in Central Asia. The religion made it as far as eastern Europe, and western superstitions like touching wood and tying a ribbon around a tree are left-overs from Tengrism. Arslanbob’s wild walnut forest is the biggest in the world. It is widely assumed that the walnut came from here to Europe via the conquests of Alexander the Great. Kyrgyzstan has implemented a visa-free regime, giving tourists from most nations 60 days visa-free entry. That’s just enough time to get used to a nomadic diet of meat and horse milk. Tucked away in the mountains, Arslanbob is located off the main Osh-Bishkek highway. Located 4 hours from Osh and 10 hours from Bishkek by car, it makes for a good stopover en route for fast-paced travelers. Slower-paced travelers will want to add another stop between Arslanbob and Bishkek, either at the Chychkan gorge near Toktogul, one of the villages in the Suusamyr valley, or at the Sary-Chelek lake. Arslanbob is around 10 hours by car from Song Kul. If you want to take that route, decide if you prefer a stop along the way. Within Arslanbob, there is no need for extra transport outside of perhaps a donkey cart. It is a village.